Our coffee roaster, training facility, and business office is located on the south side of Fayetteville just off School Avenue. All our coffees are small batch roasted with our Diedrich gas heated roaster. Good coffee is often compared to fine wine and said to have characteristics of brightness, good body, balanced acidity, fruity or floral notes, and more. How a coffee is roasted determines whether or not you will be able to taste those nuanced characteristics in your cup of morning coffee. Most of our coffees are a medium roast. This can bring out the delicate flavors of highly prized coffee beans without sending them up in smoke. Some coffee varieties hold flavors that are augmented and complimented by the intense carbonization of a darker roast. 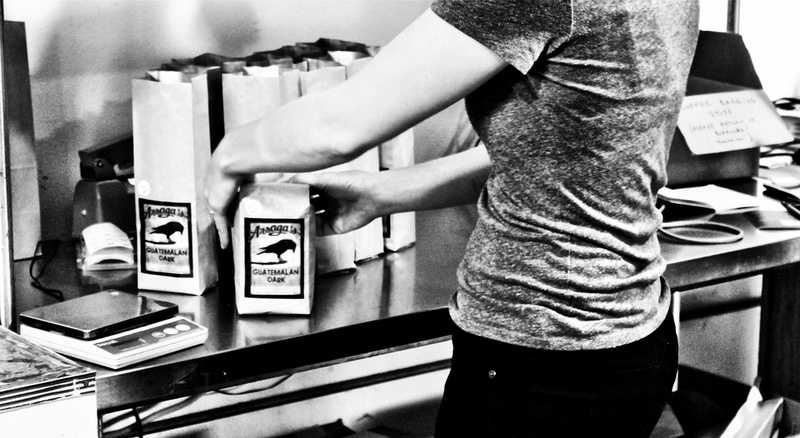 Often, after careful cupping, we will choose a lighter roast to best showcase the brighter notes of a particular bean. We certainly enjoy the process of discovering the best way to roast each variety of coffee and hope you will have many opportunities to taste the difference.